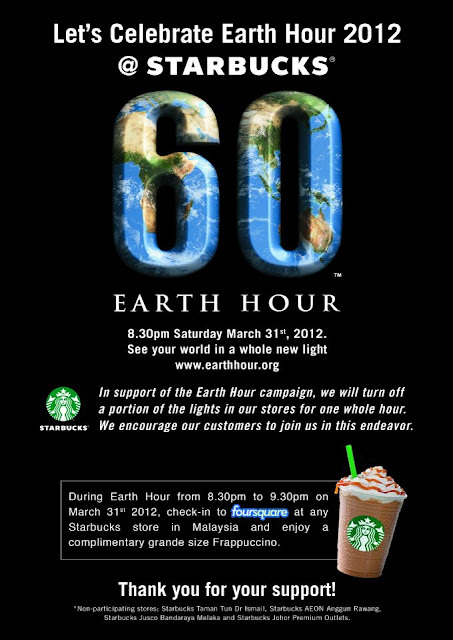 Today is the day where the world will be celebrating Earth Hour. By the way, a good news for Starbucks fans! It will be interesting to see how Starbucks turns out to be later..
Long time now see, work in Starbucks eh?